Images on this page are credited to Carl Henrik Ellingstad, and Antoni Mata. 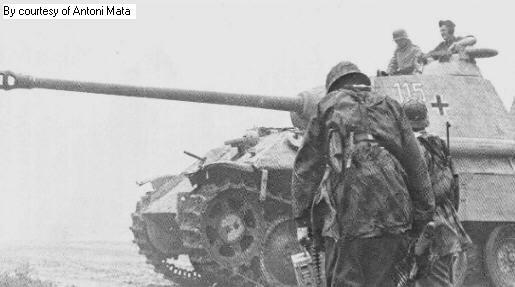 Here we see troops heading toward a Panther tank, the rightmost of whom is armed with a G43 rifle. 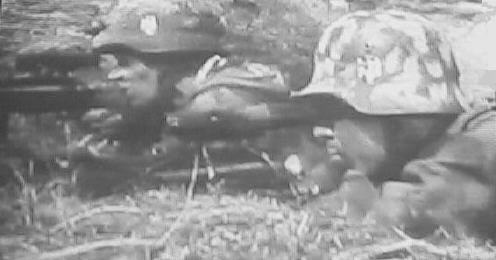 Here you will notice that of the two soldiers who are greeting each other, one has in his hand a Gew43. 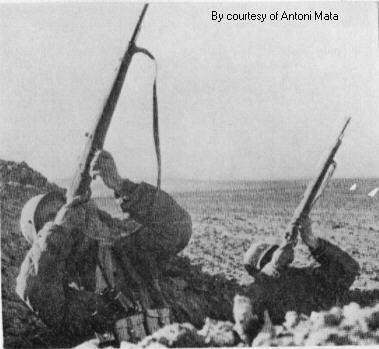 A sniper team (note the 6x binoculars and also the G43 magazine pouch.) 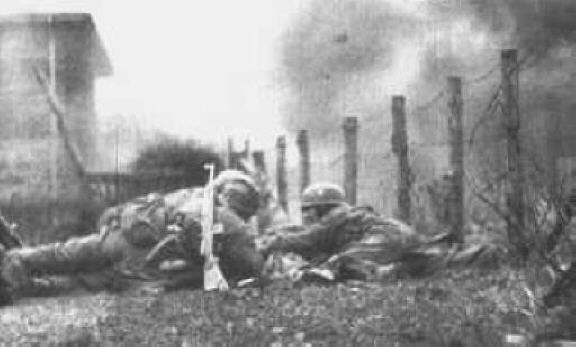 fire on Allied aircraft with a G43 and K98k. A lull in the action...the Soldat in the forground has a G43 rifle slung under his arm. 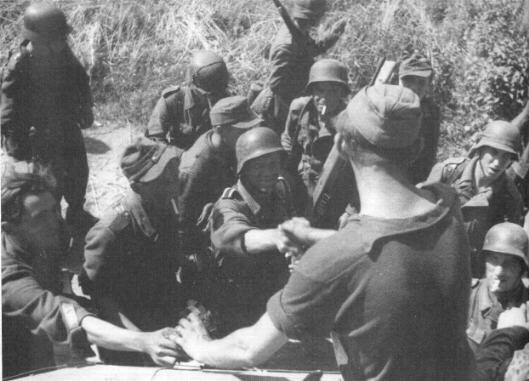 Handing a cigarrette to his comrade, this Fallschirmjager troop on the back of a King Tiger is a member of the 3rd FJD, possibly FJR9. He has a G43 across his lap. 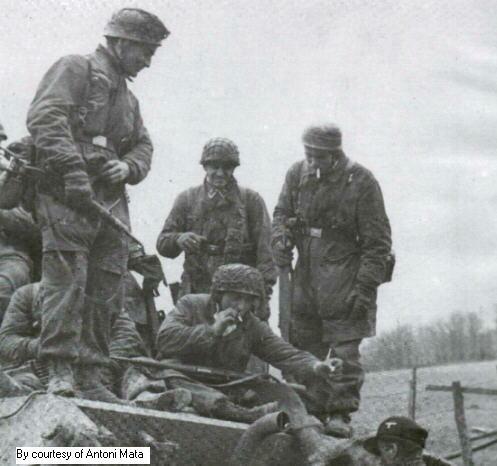 The soldier standing on the Tank to his right also is armed with a G43. 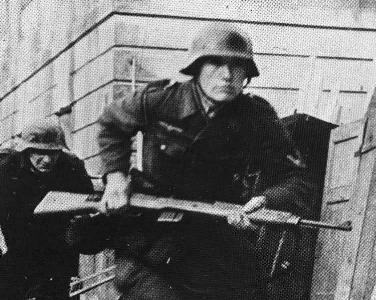 The image now made famous by the new book "Hitler's Garands" by Darrin Weaver showing a running troop carrying his G43. notice the sighthood is already lost from this rifle! 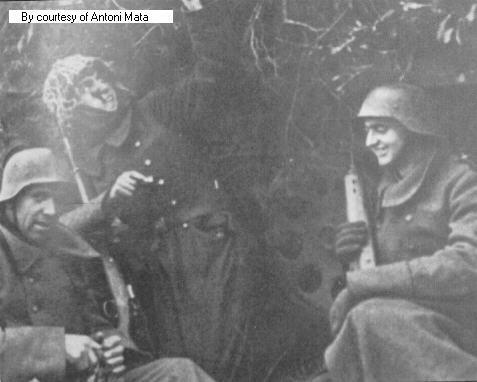 Luftwaffe Fallschirmjager troops in the Ardennes in 1944. you will notice the stark outline of the winter White camoflauge painted G43 rifle.possibly, they are from Peiper's column. 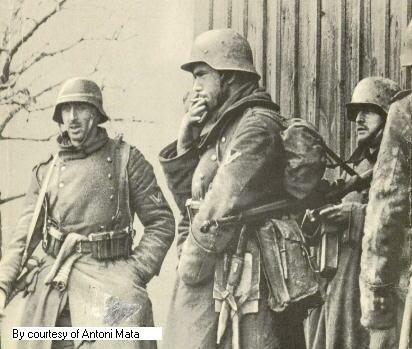 German ski troops in firing position armed with an StG44 and Gew43! 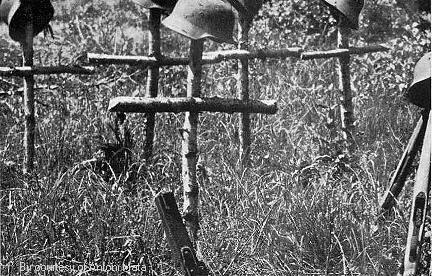 The graves of the fallen, note the G43 without magazine and bolt assembly at the rightmost grave. 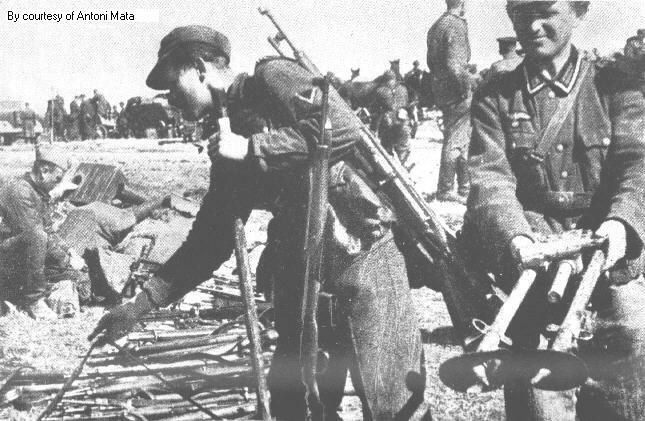 This soldier is surrendering several rifles, including three G/K43's to U.S. troops in 1945! What would you give to root through that pile of weapons?